Our experienced floral design consultants can help you plan a truly magical event with gorgeous, unforgettable flowers! Take cues from the bridal bouquet when selecting flowers for boutonnieres. Incorporate a few of the same flowers and similar colors to tie the floral pieces together. 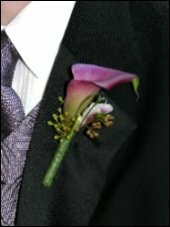 Orchids and callas can also make unique boutonnieres by themselves. Boutonnières are an added touch to make a special event more memorable. Boutonnières, worn on the lapel, can be customized to match an individual's attire or coordinate with your date's corsage. 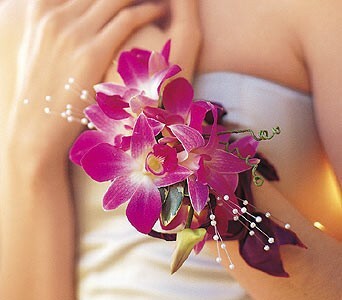 CORSAGES: Corsages are an extra touch to make a special event or person even more me morable. Body flowers can be customized to match an individual's personality, clothing, favorite colors, or the event for which they are intended. It’s sure to be truly magical with flowers and décor by BAYBERRIES FLORAL. Call us today!